Although I studied Mandarin in college, it is a very difficult language that you have to practice often not to forget it, and also you have to keep in mind that in Shanghai people speak Shanghainese, which is different... English is spoken in some places like big hotels, touristic sights and sourvenir shops but most of the times you'll have to find out an alternative way (gestures, picture pointing, etc.) 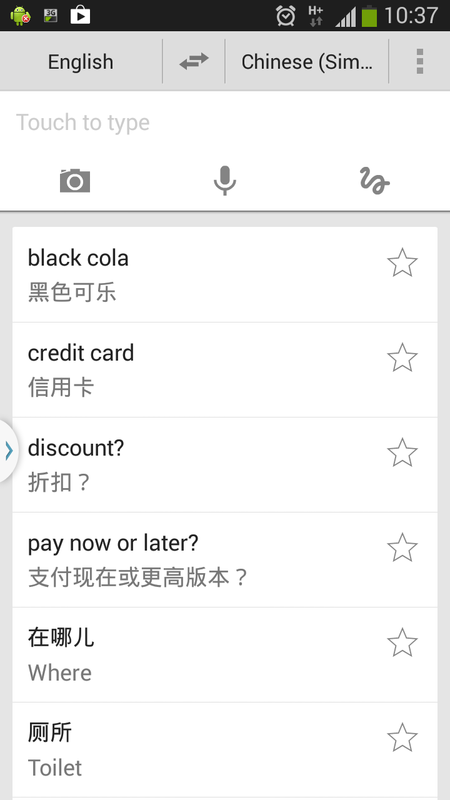 to communicate, I strongly suggest you download the Simplified Chinese offline package of your Google Translate app. This tool was the most useful during our stay, to buy stuff, to ask for directions and even to communicate with our masseusses! Before leaving I thought about getting a Transport Card for Shanghai. It's like the London Oyster card that you reload and use in all transports, but in Shanghai you can also use it to pay for taxis. Then when we got to the airport, we just got a Day Pass that can be used for 24 hours only in public transportation and it was perfect, in 5 days we only took taxis twice because the subway was so efficient and close to everything, and then we got a 3-day pass to use the following 72 hours so there was no need for the transport card. Both of the times we took taxis, taxi drivers didn't speak English, since I was expecting this I had already downloaded flashcards of the addresses in Chinese of the places we wanted to visit on my phone, so we just showed the flashcards to the driver and he knew exactly where to go, I strongly suggest you do that, if not on your phone, then print them. 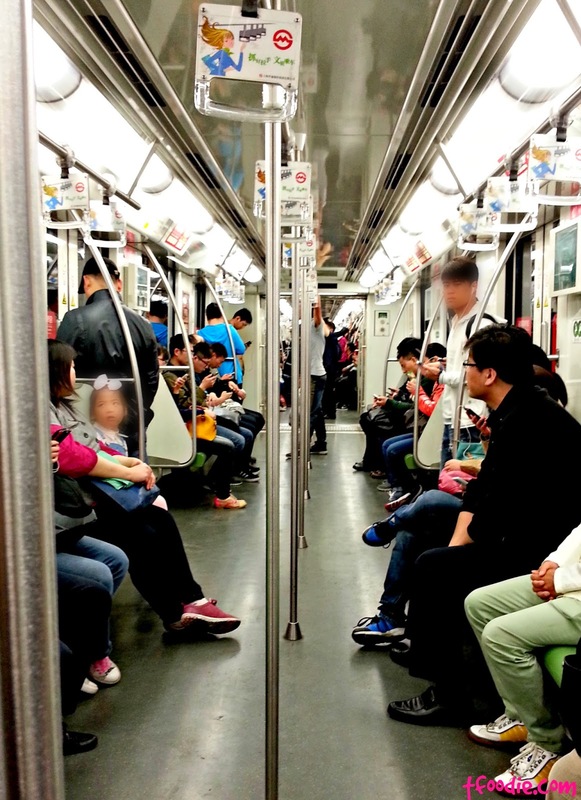 The metro is clean, cheap, safe and huge, there are signs in Chinese & English (also arrows in the floor). Pushing is common custom when boarding and getting off and also when using escalators so don't be offended. If you're carrying a backpack or a huge bag (or luggage), you should put it though security screening at the entrance. The metro stations are big and they have many exits so check the maps to see which exit you should take. 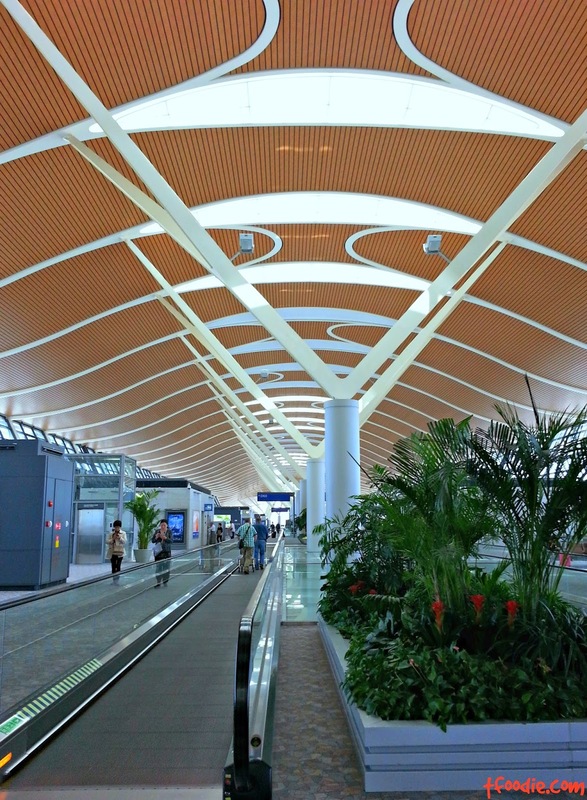 Shanghai's Pudong airport is very modern and easy to navigate. The signs are super clear (obviously both in Chinese and English) and there's everything an airport must have - except for free wi-fi but we don't get that in Milan either so no complaints... 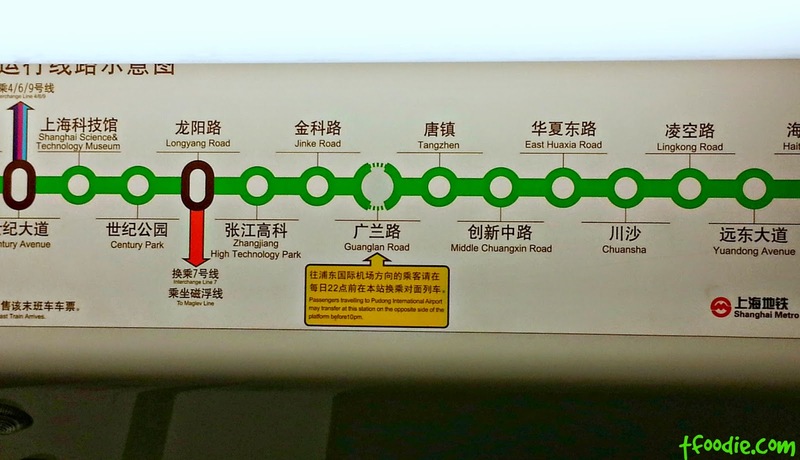 The line 2 (green) of the subway connects both airports (Pudong and Hongqiao) and crosses the city, passing by most of the main spots: People's Square, the skyscrapers area, Jing'an temple, Science and Technology Museum, Century Park, etc. But if you want to get there really fast, then you should consider taking the Maglev train. 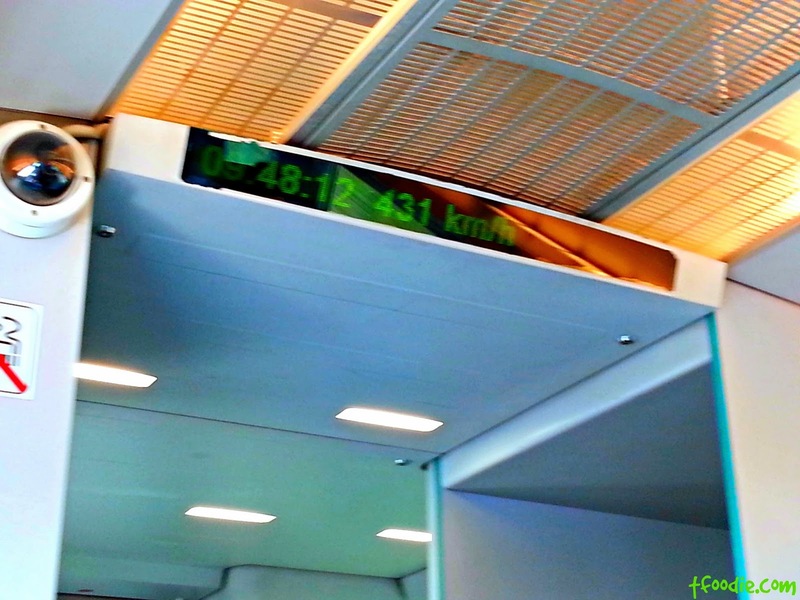 It is the super-fast train that connects Pudong airport and Longyang Road station, it just takes 8 minutes and there are trains every 12-15 minutes (in peak hours it reaches a speed of 431 km/h!). 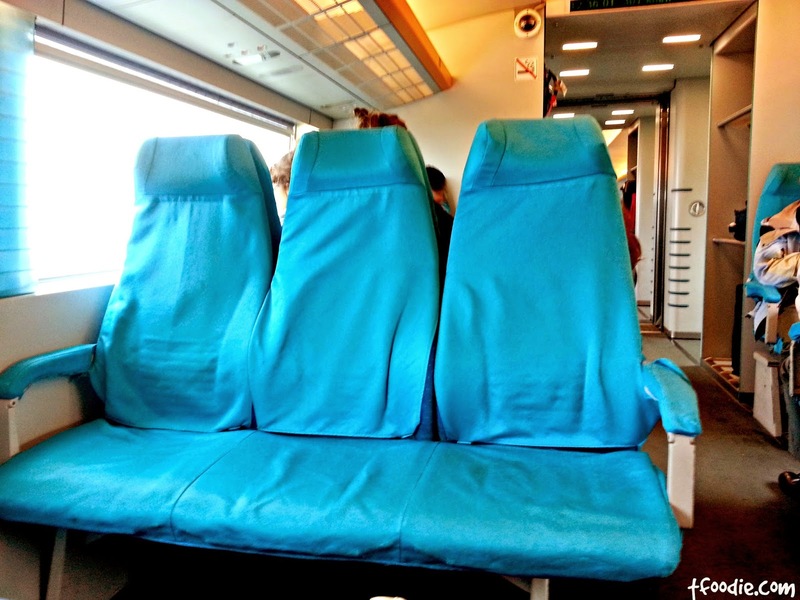 The cost is 80 RMB for a round trip ticket (to be used within 7 days). 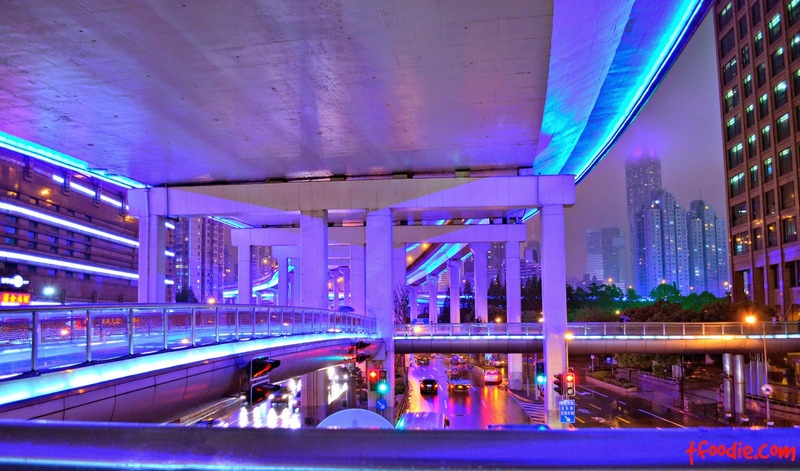 After you get to Longyang Road you can either get a taxi to your destination or continue with the subway Line 2. 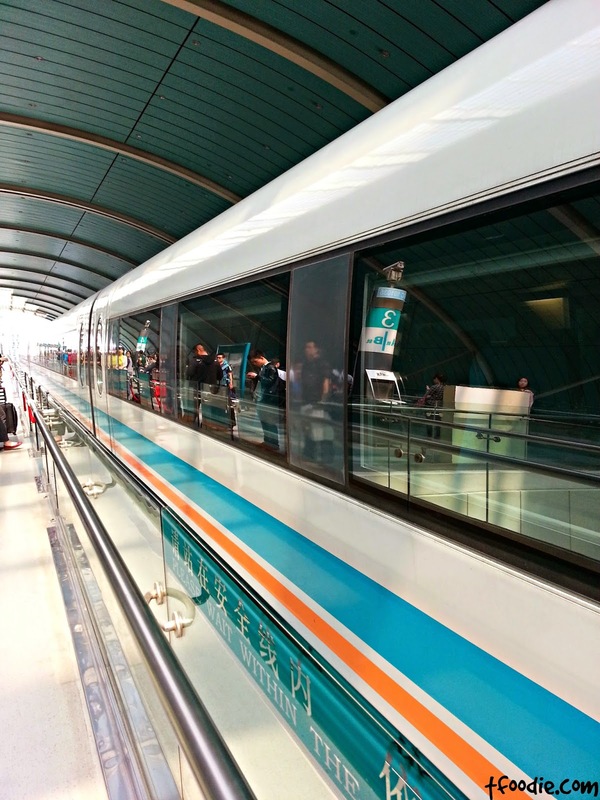 If you're not in a hurry and trying the Maglev seems unnecessary, you can just take Line 2 from the airport. You probably know that the currency in China is the yuan or renminbi (RMB) also called kuai (=bucks). You can either exchange it or get it from the ATMs - the rates are State-controlled so you shouldn't worry about that. Credit cards are not accepted often (only in hotels, big restaurants and shops and the Maglev ticket office) but there are ATMs all over the city, especially in subway stations. You should only be charged a commission by your bank when you get money from the ATMs. After more than a week, I still feel my mouth burning from the boiling food! 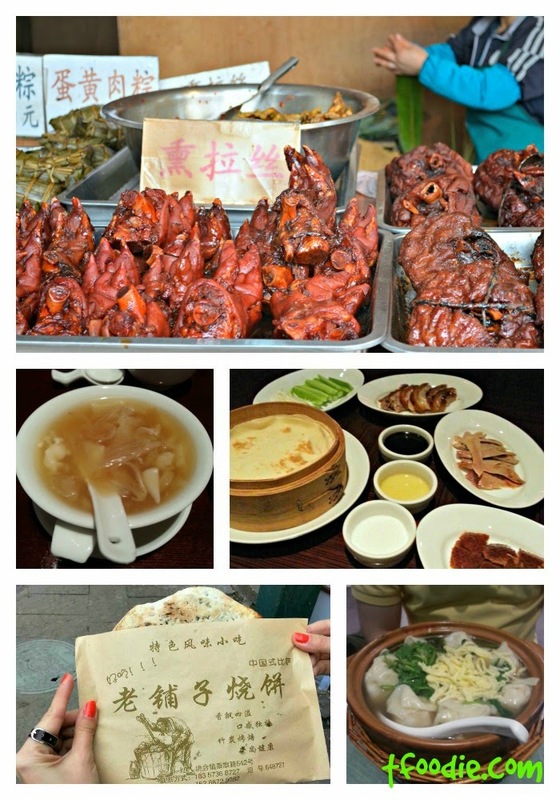 perhaps I'm not used to be served food at that boiling level, however, we gladly got our tongues burnt by the many delicious things we ate: dumplings, shark's fin, pork, lamb Xinjiang-style, cantonese, some sort of flatbread with herbs, wonton soups, peking duck, etc. Most of the places we went to had their menus in "funny English" so at least we figured out what we were eating (mostly), but if you're a picky eater, try to memorize or write down the ideograms for the things you don't like. I was amazed by the sizes and quantity of the shops of big designers like Prada, Gucci, Burberry, LV, Tod's, etc. but as I was expecting shops were almost empty because prices are higher than in Europe. For the rest, food and drinks are relatively cheap but if you go to the famous places and hotel bars and restaurants, prices might be as they are back home (and sometimes even higher). Sourvenirs are cheap and you're expected to haggle in markets (there's even an app for the Fake Markets that gives you tips for haggling successfully). We visited the fake market in the Science & Tech museum stop but were not very impressed, although it is big, almost all stalls had the same stuff and vendors were super pushy so we didn't spend much time there, but if you like to haggle and have time to spend doing it, you should do it, they also have sourvenirs there. Tipping is not customary in China, only big hotels and restaurants add a 10% service charge to bills. As I mentioned before, the Google Translate app is super useful, even if you don't have an internet connection, just make sure you download the offline package before leaving. I used Google Keep a lot to write down the things we were eating on the go, simple and quick. The Google Maps offline app was also useful (if you can't download the offline version of the area, just take screenshots when you have internet connection). City Weekend Shanghai app was good for finding restaurants, and it also gives you the flashcards of the addresses to show the taxi driver. Explore Shanghai metro map was the most useful of all. The Shanghai Fake Markets app is useful if you're visiting the markets and need haggling tips and a prices guide. GuidePal Shanghai was useful when I started planning the trip but not all their info is updated. Also the TripAdvisor Shanghai guide was good for suggestions. Springpad was my lifesaver as I used it as a personalized guidebook, with all the info and descriptions of the places we wanted to see and also to keep our itinerary. Some language apps I've downloaded are Mandarin Tap and Hanping Pro, good for figuring out how to ask for information. 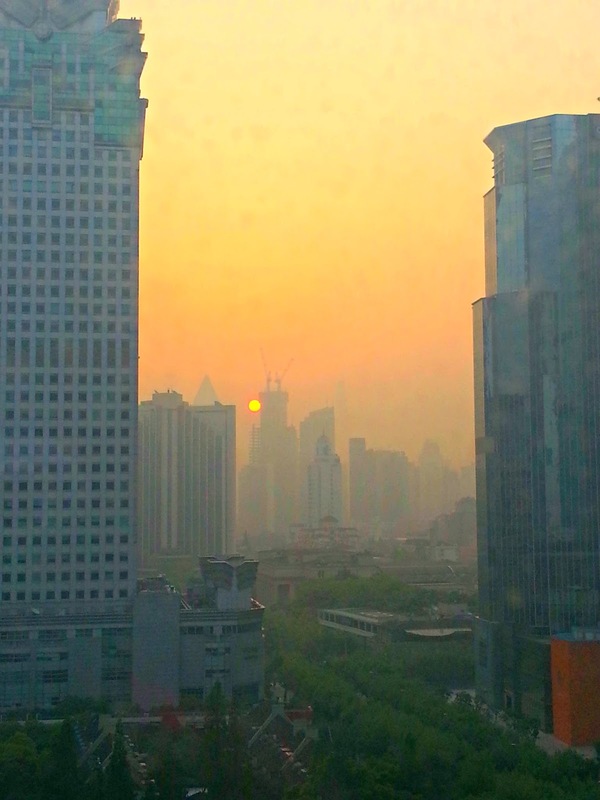 Since Facebook, Youtube and Twitter are blocked in China, you can use a proxy or a vpn in order to use it, as some expats and residents do, but we were going to be there only for a few days so instead I posted pictures through Instagram and shared them to FB so friends and family could see our whereabouts. Foursquare and Whatsapp also work over there. The Lonely Planet Shanghai ebook I got on Kindle was the best one for exploring the city (and even the neighboring water towns). I was worried about the quality of the air and even thinking of getting masks with filters but in the end we didn't get them and we were lucky that those days weren't particularly polluted (perhaps the rain the first days helped a bit), still you could see people in the street or in subways wearing masks but maybe because they had a cold. When we got up the SWFC (or the "bottle opener") we could see, well actually, we couldn't see, because the mix of pollution and humidity made it difficult to see further than the tips of the other skyscrapers, but we never felt dizzy or had headaches due to pollution. 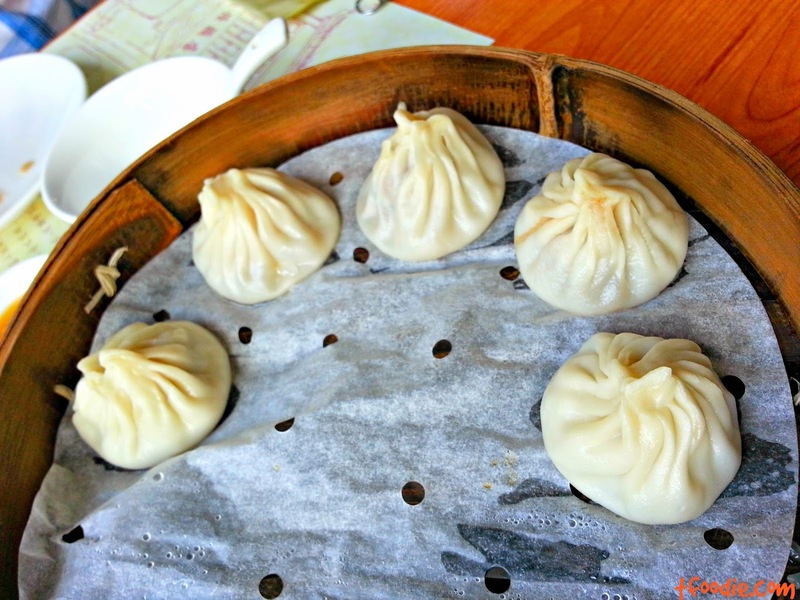 Stay tuned for photos and other info about Shanghai's main sights and restaurants!